#TSRPositiveImages: Marsai Martin Inks First-Look Production Deal With Universal At 14 Years Old! Yes for #BlackGirlMagic and yes for representation! 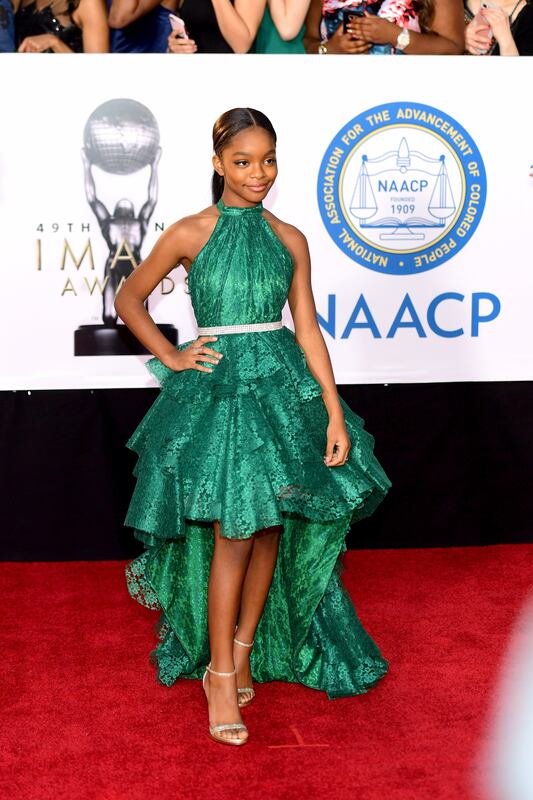 #Blackish’s #MarsaiMartin is a tiny queen but please believe she’s doing BIG things! Marsai and her #GeniusProductions company have signed a first-look production deal with #Universal, according to @hollywoodreporter. This deal is groundbreaking because she is the youngest person to get a deal at any studio in recent memory and the young queen just made history last month when she became the youngest Black executive producer in Hollywood history. That happened when she signed on to executive produce her upcoming film “Little” with fellow Universal-based producer Will Packer. The film starts Marsai, Regina Hall and Issa Rae and centers on “a woman who gets the chance to relive the carefree life as her younger self when the pressures of adulthood become too much.” The movie will hit theaters April 12. Congrats to Marsai on this big achievement and we look forward to seeing what she produces!